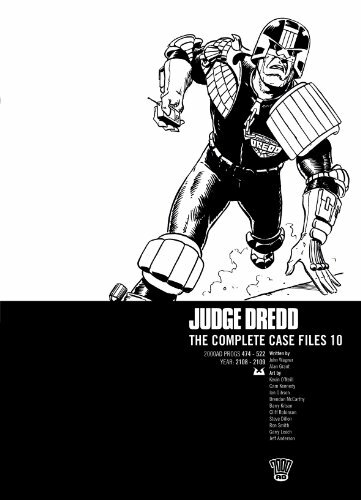 Another classic film gets given the 2000AD treatment. But it isn’t a single borrowed joke stretched paper-thin. Even in seven pages we have a sophisticated structure that re-arranges the timeline. Narration is provided in the form of a letter written after the events too so there is there is a great deal for your mind to get its teeth into. Garry Leach has only ever done one Dredd strip before (Prog 138 – Night of the Bloodbeast) but his art is great with fantastic lines, great characters and a real organic feel to things. The framing and close-up action is fantastic. At eight pages this is one of the longest single issue stories. This entry was posted in Progs and tagged Alan Grant, Garry Leach, John Wagner by 365gn. Bookmark the permalink.